A warning has been issued by European security researchers about critical vulnerabilities discovered in PGP/GPG and S/MIME email encryption software that could reveal the plaintext of encrypted emails, including encrypted messages sent in the past. The alert was put out late on Sunday night by professor of computer security Sebastian Schinzel. A joint research paper, due to be published tomorrow at 07:00 a.m. UTC (3:00 a.m. Eastern Time, 12:00 am Pacific) promises to offer a thorough explanation of the vulnerabilities, for which there are currently no reliable fixes. "EFF has been in communication with the research team, and can confirm that these vulnerabilities pose an immediate risk to those using these tools for email communication, including the potential exposure of the contents of past messages." In the meantime, users of PGP/GPG and S/MIME are being advised to immediately disable and/or uninstall tools that automatically decrypt PGP-encrypted email, and seek alternative end-to-end encrypted channels such as Signal to send and receive sensitive content. 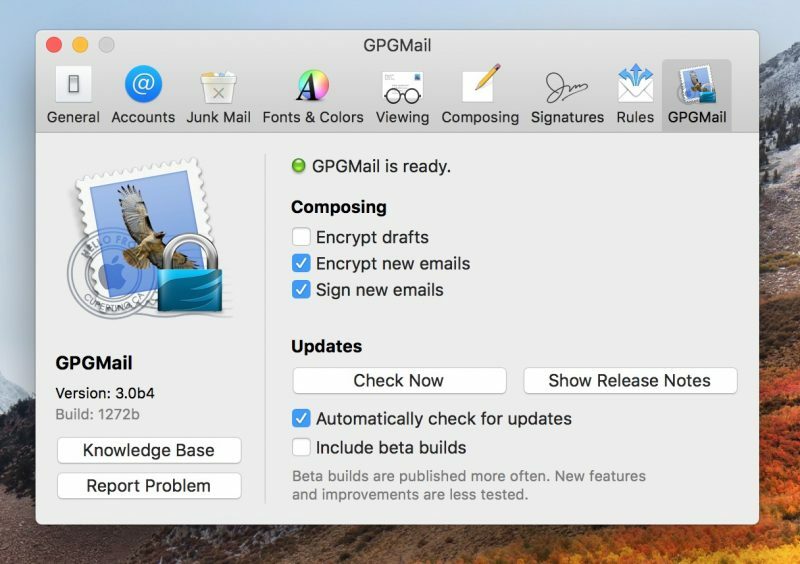 Update: The GPGTools/GPGMail team has posted a temporary workaround against the vulnerability, while MacRumors has compiled a separate guide to removing the popular open source plugin for Apple Mail until a fix for the vulnerability is released. Other popular affected clients include Mozilla Thunderbird with Enigmail and Microsoft Outlook with GPG4win. Click the links for EFF's uninstall steps. Hmm.... security protocol creates a vulnerability. To protect yourself, stop encrypting your emails??? This looks like another clickbait by (almost pseudo) research teams. The problem is within mail software and not PGP encryption standard or tools. Going back to using birds to deliver my messages. Considered pigeons... but I want a bird that can shred anyone who tries to intercept my message. Decided on Hawks. The topic of that paper is that HTML is used as a back channel to create an oracle for modified encrypted mails. It is long known that HTML mails and in particular external links like <img href="tla.org/TAG"/> are evil if the MUA actually honors them (which many meanwhile seem to do again; see all these newsletters). Due to broken MIME parsers a bunch of MUAs seem to concatenate decrypted HTML mime parts which makes it easy to plant such HTML snippets. proper MIME parser and disallow any access to external links. It also appears that some versions of OpenPGP already use authenticated encryption. From what I'm reading, this is a really old bug that many wanted to get fixed, but the MUAs fail to fix it. I heard differently. It is supposedly a bug affecting any kind of Email encryption using MIME and automatically loading remote content. Also the in-build S/MIME encryption is at risk. Same that I read. Essentially, if you already have the viewing of remote images turned off (which I did awhile ago), then this doesn't work when you read the email. You'd have to read the email THEN click "load images". Exactly my reaction. "Some of your emails may be insecure. So remove this software so that they're all insecure." ? ?